New Delhi : The Uttar Pradesh cabinet 'civil war' finally came to an end after Samajwadi Party supremo Mulayam Singh Yadav stepped in to douse the flames between UP CM Akhilesh Yadav and Shivpal Yadav. Mulayam Singh Yadav on Saturday announced that Akhilesh Yadav will be the chairman of Samajwadi Party's parliamentary board. After returning all the portfolios to senior leader Shivpal Yadav, Akhilesh Yadav on Saturday said that he respects Netaji's (Mulayam Singh Yadav) decision over appointing Shivpal Yadav as the party's state president and that he completely supports Shivpal. The UP CM further went on saying that the opposition is happy that there is a rift within the Samajwadi Party but there is nothing like rift. Politics is not a game, but a serious business towards the development of the people, UP CM said. In a recent development, the SP on Saturday declared that Shivpal Yadav will continue as the Samajwadi Party State President and he will also get back his previous departments along with new ones. While UP CM Akhilesh will keep the PWD department with himself. Shivpal will also get Medical, education, and minor irrigation departments from now. Besides, Gayatri Prasad Prajapati, who was expelled by Akhilesh would be re-inducted in the Uttar Pradesh cabinet, will take oath soon. It may be mentioned here that Prajapati is believed to be a close aide to Shivpal Yadav and when Akhilesh expelled him, the tussle between the two broke out. 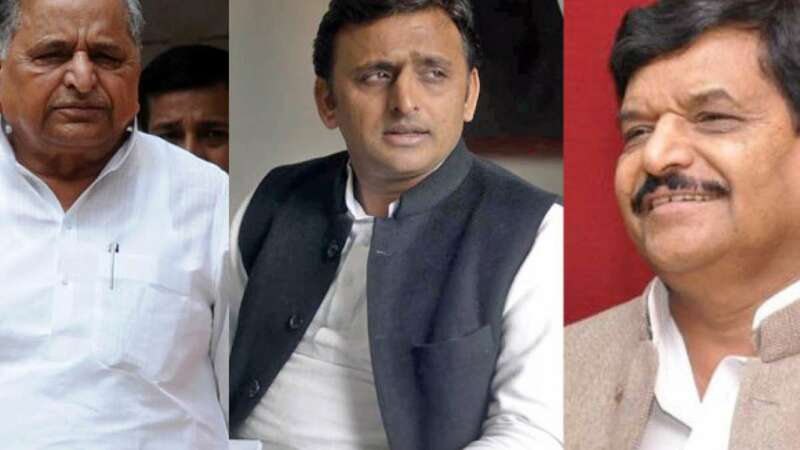 # Shivpal Yadav had given resignation to Akhilesh Yadav and Mulayam Singh on Thursday. Both of them had refused to accept it. # Mulayam Singh Yadav on Friday morning had said, "as long as I am alive, there will be no division in Samajwadi Party." # “We have a big family, differences may occur. Every father and son face issues...but there is no rift whatsoever in the party between anybody,” Mulayam Singh had said.